Many believe that the Tulip ‘Semper Augustus’ is the holy grail of all tulip bulbs. Made famous during the well documented Tulip-mania period of 1637-1637, they were considered by many to be the most beautiful of all flowers and a pinnacle of achievement from the breeders. Unfortunately, such exquisiteness commanded incredibly high prices making the Semper Augustus tulip affordable only to the very rich. Even before the madness of bulb price hyperinflation took place, a single Semper Augustus bulb was documented to have been sold for 5,500 guilders. In 1637 - just before the crash - the price for even a single Semper Augustus bulb was valued at approximately 10,000 guilders. When you consider that the average yearly earnings for a skilled craftsman would have been around 150 florins, 10,000 guilders was such an exorbitant amount of money that it would have easily purchased a grand house on the most fashionable canal in Amsterdam. Unfortunately the extraordinary beauty of Semper Augustus is the result from a viral infection which 'breaks' the single block of colour normally displayed on tulips. In doing so it added a stunning striation of white or yellow coloured stripes. As beautiful as this effect may be, there is a terrible downside due to the harmful effects of the virus. In many cases the virus is severely detrimental to the health of the bulb, reducing its vigour, and making it difficult to propagate. Eventually the bulb would lose its strength and wither to nothing effetively ending the genetic line. It's for this reason alone that the famous colour broken Semper August bulb no longer exists. Or at least it doesn't as a direct genetic line. What is often forgotten is that the breeding of tulip bulbs and their subsequent production and marketing was not in the sole domain of the Dutch. 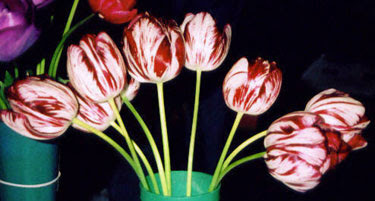 The fashion for rare and beautiful bulbs was common throughout Europe with one of the more significant countries following the fashion being Great Britain. Broken flame-patterned tulips - like the Semper Augustus - are said to have come to England from merchants in Holland and France and have been recorded in the UK since at least the 17th Century. 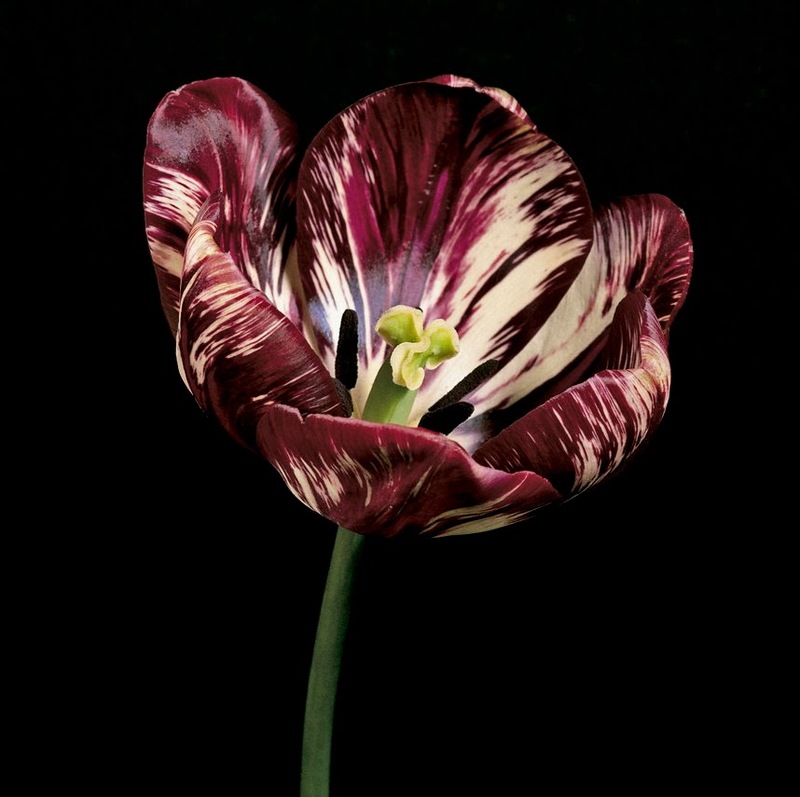 From this time period Tulips societies sprung up throughout the country attracting enthusiastic amateurs interested in developing and perfecting the broken, flame-patterned cultivars. These societies reached their peak in the 1850’s when interest in such things was at an all time high. Unfortunately since their heyday, these old tulips societies have lost their base of interest and one by one they have become disbanded over the centuries. Today we are incredibly lucky to still have once society left - the Wakefield and North of England Tulip Society and it is the only place that still actively continues trying to develop the broken tulip cultivars. Over the years the Wakefield and North of England Tulip Society have developed their own creations and although techniques and the science behind tulip breeding have changed, the breeders of 17th century Holland would easily recognize the results. Once such cultivar of particular interest is the tulip ‘Wakefield Flame’, perhaps the most beautiful of the modern cultivars. But how does it stack up against the legendary Semper Augustus? Well - taking into consideration a certain amount of artistic licence you can decide for yourself - Photograph courtesy of Oldhousegardens.com and the Wakefield and North of England Tulip Society. I am happy to hear you comments. Does the Tulip Semper Augustus still exist?